On September 15, 1941, a U.S. Army P-40C fighter aircraft (Ser. No. 41-13393) was cleared for take off from Boston Airport. As the army plane was becoming airborne it was involved in a collision with a Stinson civilian aircraft (NE-87) belonging to Northeast Airlines, Inc. The army pilot escaped with minor injuries. However, the Stinson pilot, and two of the three passengers were seriously injured. 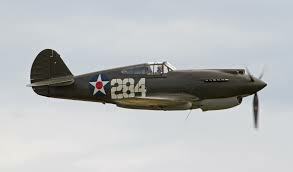 The P-40 was assigned to the 66th Pursuit Squadron in Windsor Locks, Connecticut.